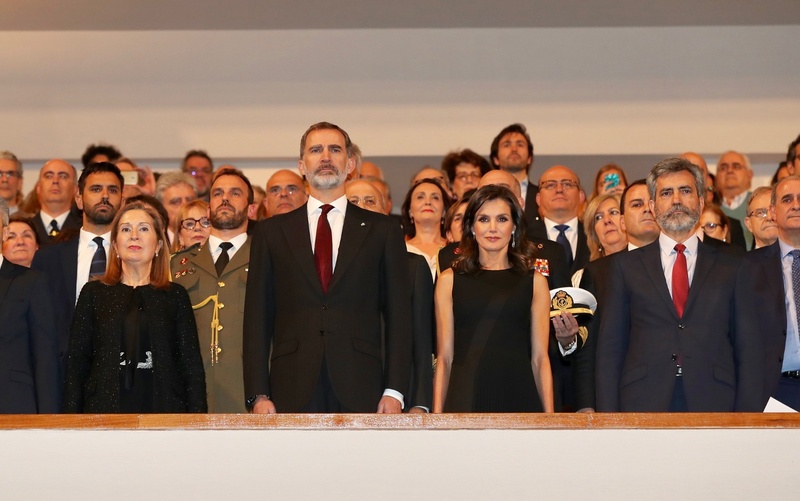 Today King Felipe and Queen Letizia of Spain attended the the XVII Concert tribute to the victims of terrorism at the National Music Auditorium in Madrid. The concert brings together every year the main institutions of the State, Government, political parties and all the social and economic estates of Spanish society. 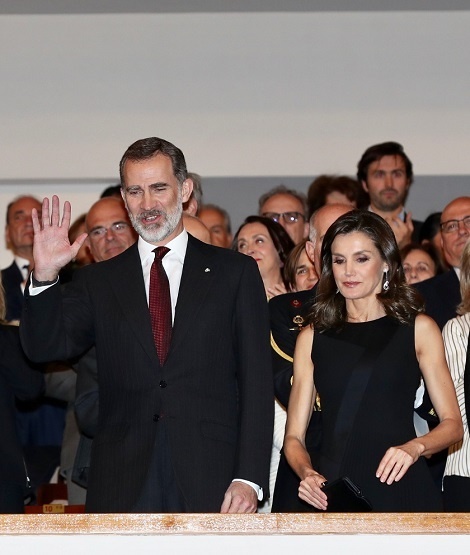 Upon their arrival at the National Music Auditorium, King and Queen were received by the President of the Congress of Deputies, the president of the Supreme Court and the Council of the Judiciary. Oganized by the Victims of Terrorism Foundation, and sponsored by the RTVE Symphony and Choir, the National Music Auditorium , the INAEM, the Montemadrid Foundation, the Ministry of Culture and Sports and the Madrid City Council, the concert was first organized in 2003 and Queen Sofia presided over it. 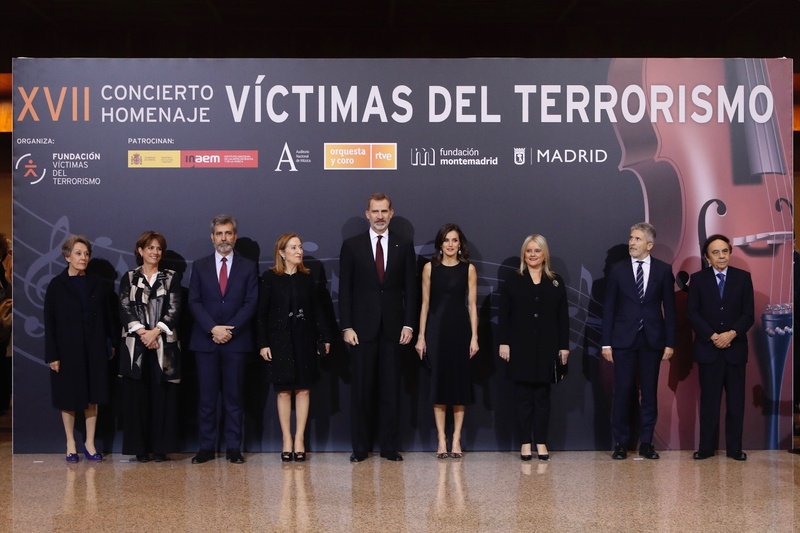 Before the event, King Felipe and Queen Letizia held a brief meeting with the authorities attending the concert and with the representatives of the Associations and Foundations of Victims of Terrorism. The event started with the National Anthem. Under the baton of Miguel Ángel Gómez Martínez, the RTVE Orchestra and Chorus performed the “Solemnis Mass in C major KV 337” by Wolfgang Amadeus Mozart and the “Symphony No. 6 in B minor, Op. 74 ‘Pathetic'” by Piotr Ilyich Tchaikovsky . 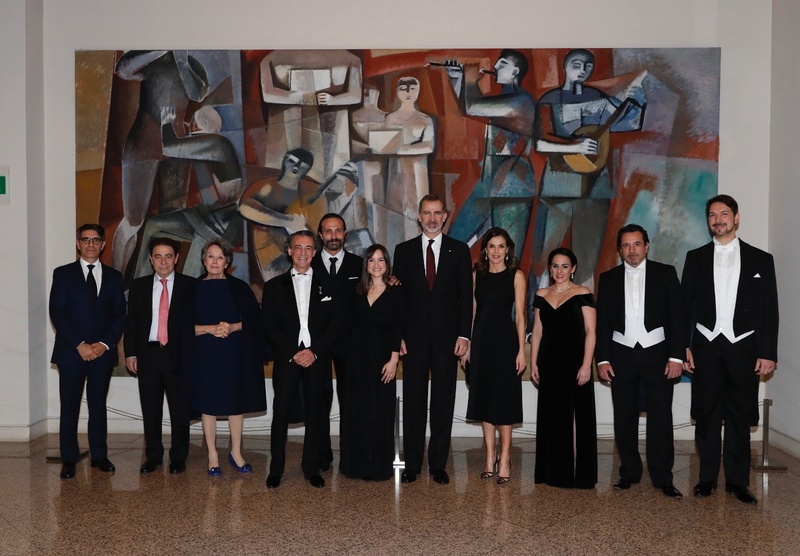 After the performance, Felipe and Letizia met with the members of the Orchestra. 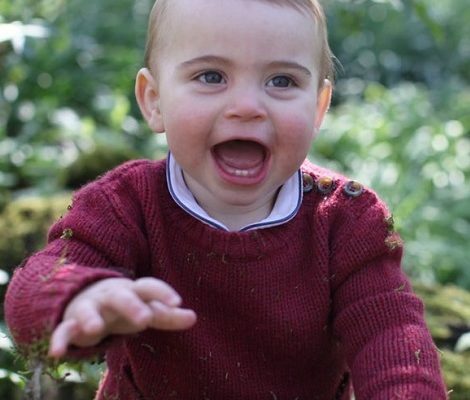 Before leaving the royal couple greeted the members of public attending the event. 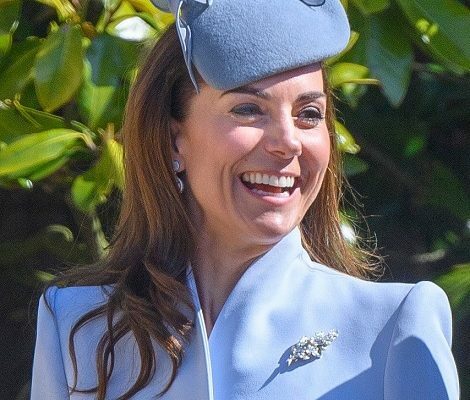 For the evening, Queen chose a very subtle yet stylish look. 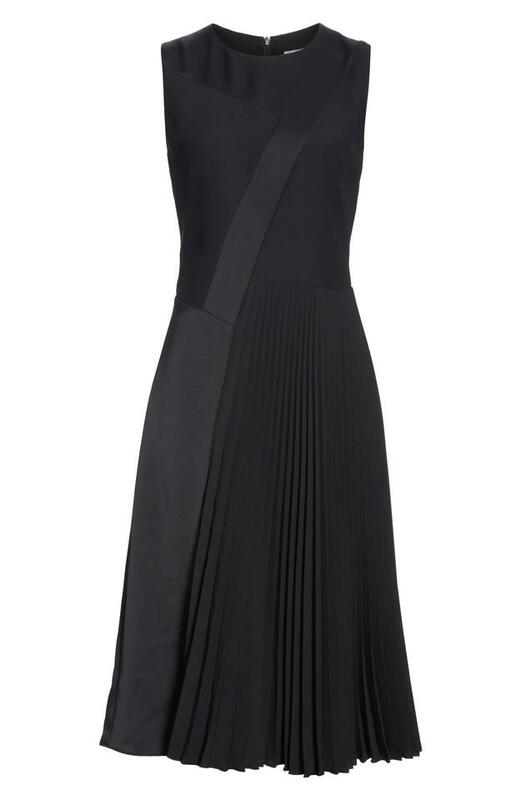 She was wearing Hugo Boss Dionia Dress. 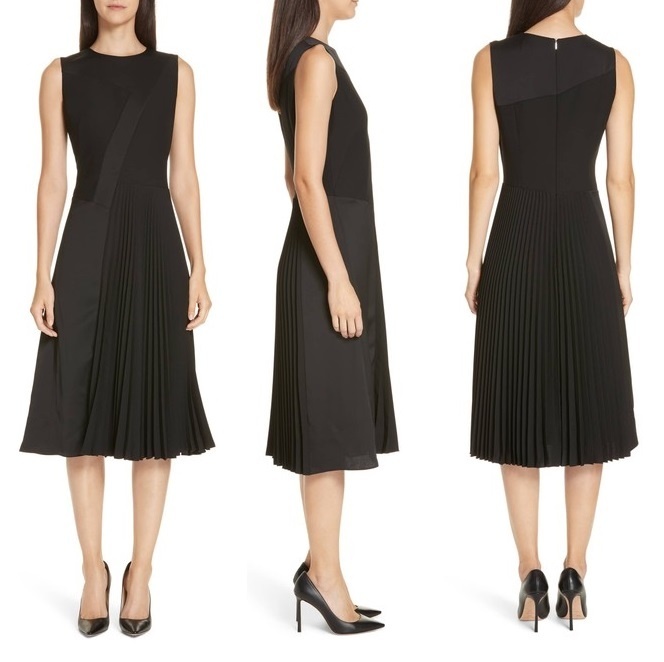 The $270 fit and flare sleeveless dress is an all-occasion dress with ladylike refinement artfully spliced from matte and satin panels with rippling pleats adding elegant movement. it features a hidden back-zip closure. The dress is already sold out. 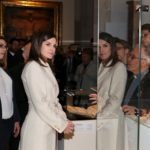 Letizia paired the dress with black Manolo Blahnik Gotrianc Slingbacks 105 Pumps from label’s Spring Summer 2019 collection. 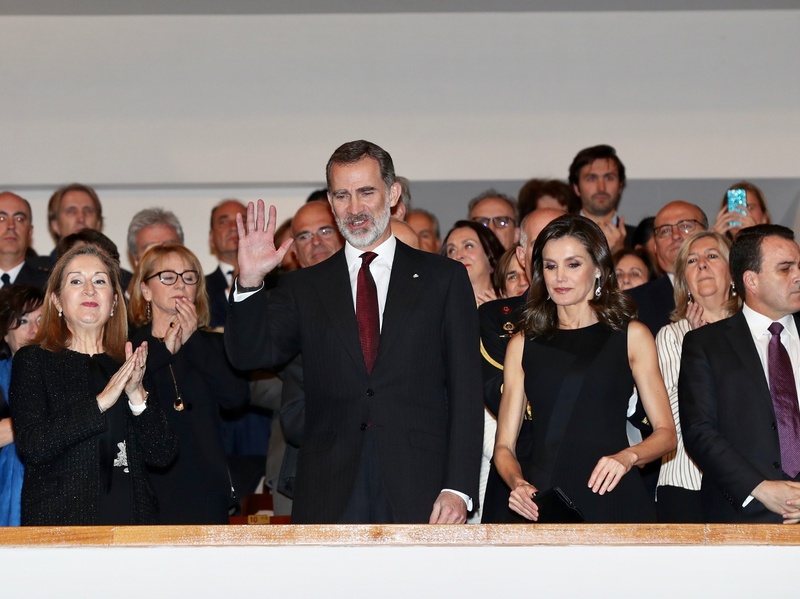 It was the first time when Letizia wore any heels from the Spanish born designer. 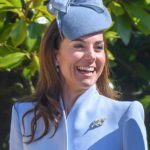 The £625 Pumps are available on Harrods and described as, “Crafted in Italy from sumptuous suede, the sleek profile is offset by contemporary transparent detailing to the pointed toe. Featuring a slingback strap and a stiletto heel, the pair work to elongate the leg“. 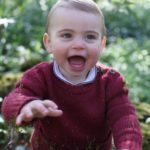 Queen was carrying a black handbag that looks like a new addition to her wardrobe. Letizia finished her look with white gold and diamond dangling teardrop earrings that are still to be identified.